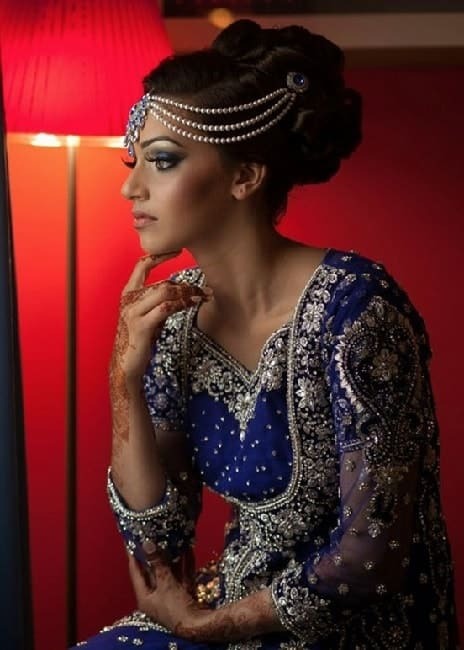 You may need new inspiration for you’re an upcoming event for your hairstyle with the Indian gown. Depending on the event, you may need to wear an evening or Indian gown. As well as, a complimentary hairstyle for the outfit. How to Pick A Hairstyle to Look Good with Your Gown? First, go with the design of the dress. If the dress is long then you may want your hair to be flowing. In addition, if the design of the dress is very intricate your may want an exquisite hairstyle. 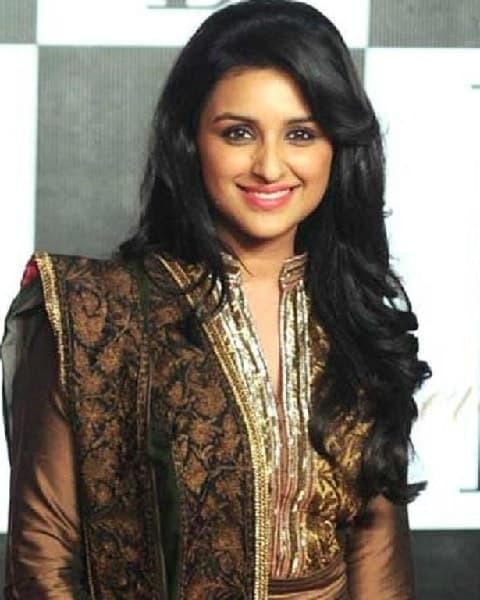 Lastly, if you are wearing an Indian gown you may want to go for more traditional hairstyles such as a long braid. A bun will never go out of style for any outfit, especially an evening gown. Buns are a simple hairstyle that enhances your beautiful features such as a high cheekbone. You can decorate your bun with a flower scrunchie. As well as, the twisted at the side adds volume to the hair. Additionally, you can let some loose hairs fall to frame your face. As you can see the dress has intricate details so detailed accessories are needed to amp up the look. 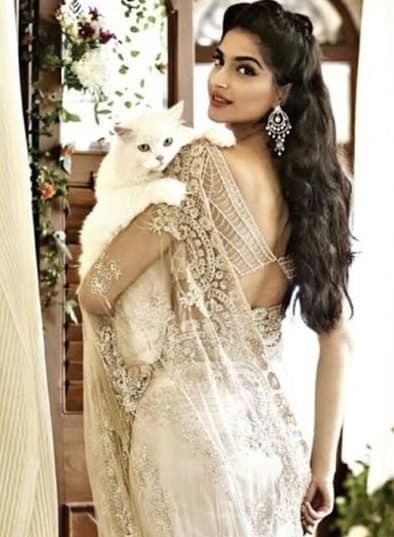 Sonam Kapoor is modeling this beautiful evening gown wearing a wavy half up, half down. As you can see the length of her hair compliments the length of the dress. If your hair is naturally wavy then this perfect for you. Or, you can achieve the style using hot tools or braid your hair. The waves give the illusion that your hair is extra long. As well as, add texture and body to your hair. Placing it in a half up, half down makes the hairstyle look less rigid and more fun. Layers add dimension to your hair always. When your hair is at different lengths it makes your hair look more voluminous than it actually is. The length will frame your face very well. Bangs will forever be trending, so you can wear your bang swooped to one side. You can curl the ends to spice up the look. As well as, if your hair is dark it will complement your evening gown well if it is dark. All of your hair will be combed to your best side. Then, decorated with small flowers to add vibrancy to your hair but not take away from the style. If your hair is very even, then the curls will have a consistent look. You can choose to wear a veil and manage tika that matches the gown if you are getting married. Like I said, layers are everything. For this look, her hair is parted into two, so one side falls on her shoulder and the other behind it. Then, most of the length of her hair is curled which adds texture. You can add colors to your hair to give a nice transition that will match our evening gown. To accentuate the look you can wear a necklace, choker, and earrings that won’t be covered by your hair. 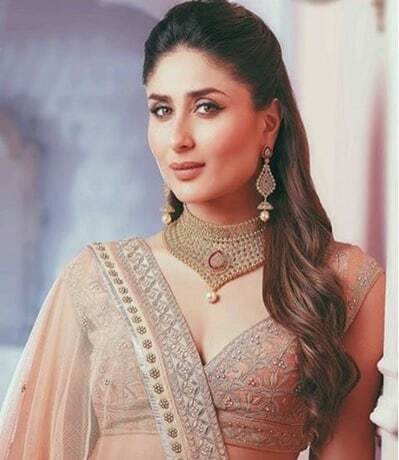 Braids are such a staple within the Indian community because of the beauty of its intricate design. As well as, it can be worn during traditional ceremonies. 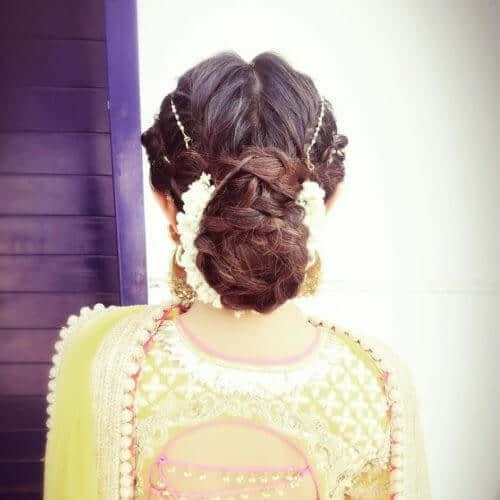 The ponytail jumbo braid is an easy hairstyle with indian gown that can be achieved by anyone. The “hump” at the top reduces the boringness of the style. Then, the braid adds texture especially since it is big. And, the ends are frayed which enhances the length of your hair. You can never go wrong with wearing braids, but you can always spice it up. For this hairstyle, her hair is in a side braided ponytail. Then, the braid is wrapped with a beaded chain. You can use the same tools or scrunchies or a thread, depending on what you prefer. As well as, wearing bangles or wristlets that blend perfectly with your hair, as well as the evening gown. The pompadour adds dimension to your hair since flat hair can be very boring. The model’s hair is nipped and tucked into a mini pompadour that goes above her forehead. Then, the rest of the hair is pulled into a low ponytail and braided down. 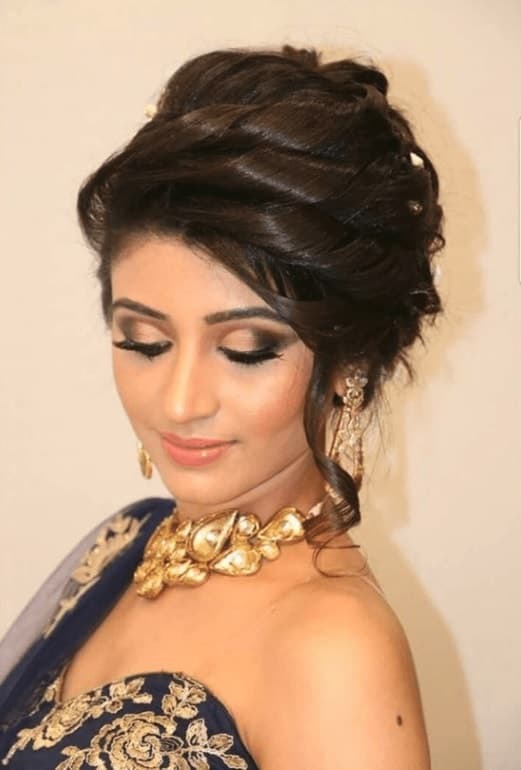 This Indian hairstyle with gown definitely shows the true length of your hair. 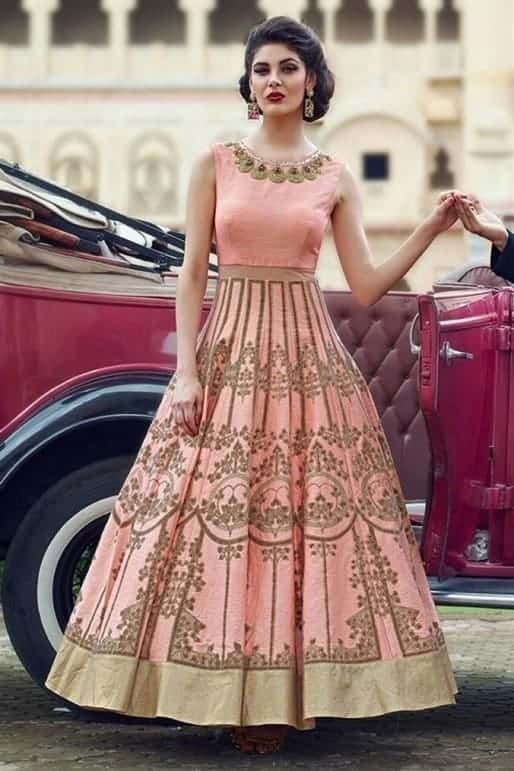 As well as, will match your Indian gown especially if it is floor length. If you’re tired of a regular braid then you can do a fishtail braid. The technique does take a while to master or you can have it done by someone else. Fishtail braids add to the exquisiteness of the hairstyle. Also, you can add hair clips or flowers to enhance the braids. As well as, letting your sideburns loose to give off the “little effort” look. This is perfect for the Indian gown that you’re wearing to a ceremony, so your hair is kept out of your face. 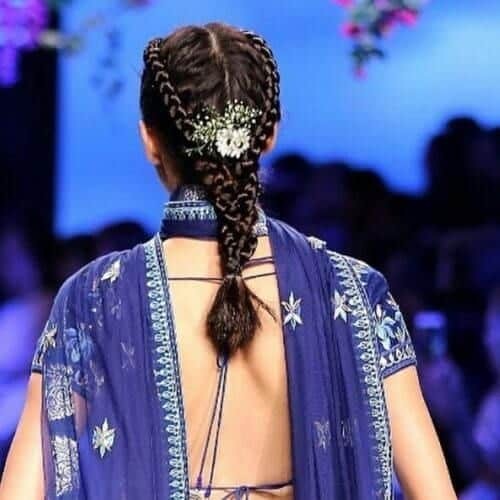 Triple Dutch braids go well with an Indian gown that shows some skin below the back of your neck. This is because the intricacy of the Dutch braid will be shown. The model’s hair is parted into two then Dutch braided or “cornrowed” down. Then, the two braids for the sections are braided into one. You can choose to braid to the end or let the ends stay out. The ends being out will add texture, as well as enhance your length. Updos are similar to bun hairstyles, they are simple yet emphasize the natural features. For this model, you can see her strong jawline structure as well as high cheekbones. For this updo, her hair is split into half so that the Maang Tika can fall there. Then, the end of the hair is nipped and tucked into the updo. The model using a clip to keep her hair in the updo. Next, is the hair jewelry. Updos are like a blank canvas that you can beautify. Hence, adding hair jewelry helps to improve the look of your hair. As well as, if the jewelry matches your gown then you’ve nailed it. Very similar to a bun hairstyle. The hair has a side part then It is pulled into a high ponytail. The strands or clumps of hair of the ponytail are nipped under to create the bun. The more curls or tucks that you do, the more dimension and texture the bun will have. You can add the hair jewelry just like the model which enhances the style. Please ensure that the hair jewelry matches the gown. 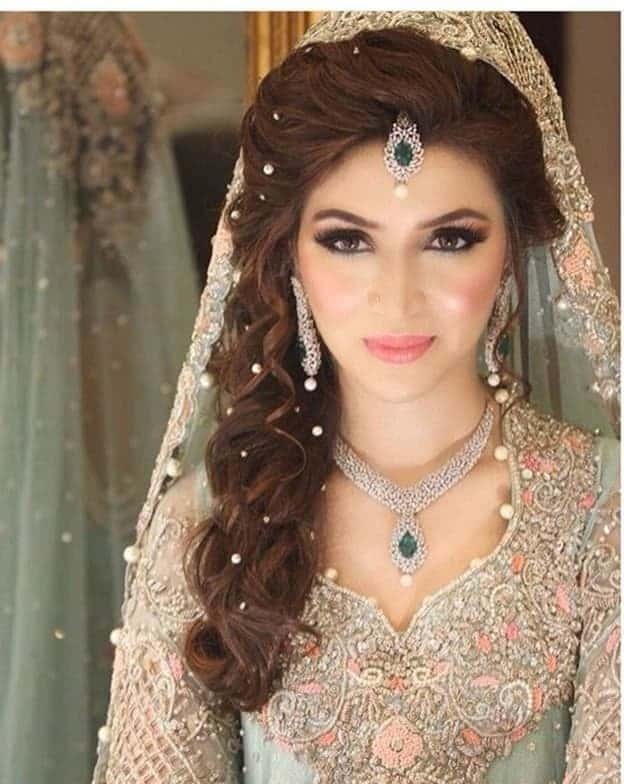 Another gorgeous hairstyle with Indian gown that may take some time to achieve. Your hair is curled into clumps then pinned up into the back into a pompadour. The pompadour pinned curls add volume to your tresses. Then, a few strands are curled to frame your face. 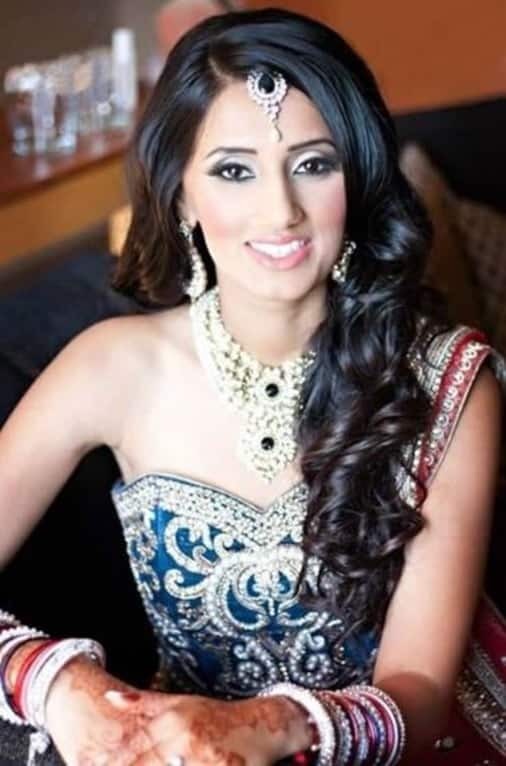 The hairstyle is perfect for your Indian gown for a wedding, a birthday party, and even dinner. This hairstyle is absolutely stunning. I suggest going to a stylist to replicate this same look. The hair is parted into two so that the Maang Tika has its own spot. Then, it’s pulled back into a ponytail. Next, a portion of the ponytail is wrapped around the perimeter of the hair to hide it. Lastly, the remainder is pinned using hairpins. If your gown is white, then you should use white hair puns for blending purposes. As well as, the Maang Tika is gold then you can have other gold jewelry such as earrings or wristlets etc. All of your hair is brushed to the top of your hair into a ponytail. Then, the ponytail is used to shape the bun. The bun is considered an updo since all of their hair is placed at the top of the hair. As well as, removing a few strands from the bun to make the hairstyle look more natural. To accentuate the whole outfit you can wear statement jewellery. This hairstyle is perfect for knee length evening dress. The hairstyle is short just like the dress for complementary purposes. 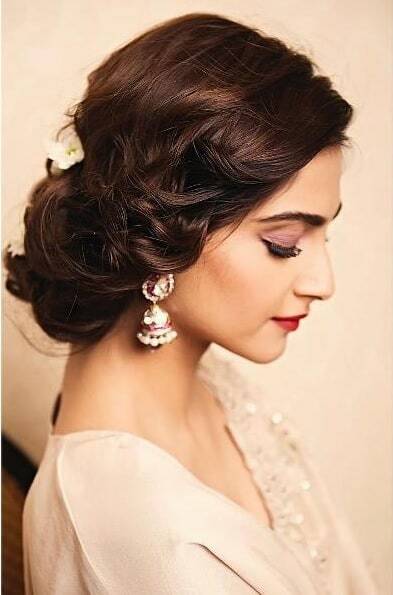 Sonam Kapoor is rocking her low messy bun. For this hairstyle her hair has a side parting to form the bun. The heavier side adds volume to the hair. Then, it is placed into a messy bun. You can achieve the messy bun by placing your hair into a regular bun and pulling out at the sides. Then, wear jewelry such as gold earrings, and statement pieces to go with your gown. As well as, they make the hair still pop yet remain subtle. You can never go wrong with a bun because of its simplicity and your ability to add more to boost the look. For this hairstyle, the hair is pulled into a low hanging ponytail. You can do two small flat twists like the model to place into the bun. Then, the bun tool is placed in the hair to stretch the hair to create the “ball” to form the bun. Also, the tool has detailed designs on opposite ends which enhances the look. The hairstyle with gown has an interesting feature which is the clip just like the dress that the model is wearing. Plain buns are lame and sometimes we need to step it up a notch. A braided bun involves dividing your hair into two then braided each section down into ponytails. Then, forming a bun with the bun with the two ponytails. It’s a really beautiful style because the bun has a messy and curl feature derived from the braids. You can add flowers to the braids and different hair chains to fit your gown. The pompadour style emphasizes a crown around her hair. This was created by doing a loose ponytail so there is more air beneath the hair. Then a mini-bun is made to create a contrast from big to small or high to low. The hairstyle will take you no more than 10 minutes to achieve. 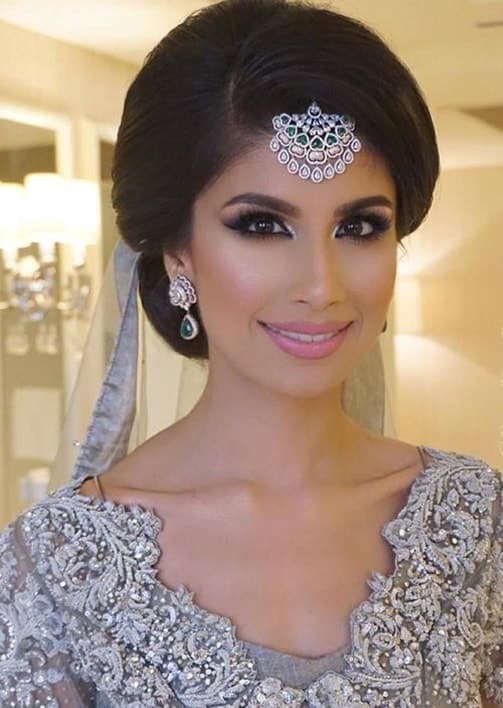 It is perfect for a wedding day and the veil can be attached to the low bun. Also, you can create a side part so that the hair hangs to one side more which will create dimension and body at the front of your hair. The last style is a pulled back bun. Definitely a go-to style for any occasion. Sonam Kapoor rocks another bomb style again. All of her hair is combed and brushed back to form a low ponytail. Then, the ponytail is formed into a doughnut bun. You can use your hand to shape it or use a doughnut bun. Any gown is perfect for this hairstyle! Her hair is parted in the middle which is perfect for her Maang Tika. Then, a mini pompadour is created using the top layers of hair. Pompadours give the hair an extra layer of dimension. Then, the rest of the hair is curled so that it falls effortlessly on her shoulder. Another part in the middle for Maang Tika to lay effortless on her forehead. The hair is combed to one side for a loose ponytail. Then, the ends are braided loosely to create loose beach waves. You can do it tight to achieve the beach curls as well. It all depends on your preference as well as the texture of your hair. Although this dress is long her hair is not flowing in the wind. Her high and prominent pompadour and low bun give the impression that she has long hair. Also, the green is a neutral color that blends with her skin tone beautifully hence a simple hairstyle will do. A rolled pin and tuck has been making its stride since the 60s. For this hairstyle with gown, the model’s hair is rolled from the front of her hair to the back then pinned up. The remaining layers are rolled and tucked as well. Thus, allowing the hair to have more body. It can be worn by individuals with long hair because there is more surface area to work with. Since her dress is length, as well as smooth her hair is a representation of that. The top half of the hair is brushed back smoothly into a ponytail. Next, the remaining half of her hair is curled. It flows along her shoulder to represent the length of her gown. As well as, half up half down hairstyles usually have layers similar to the different dimensions of her dress. 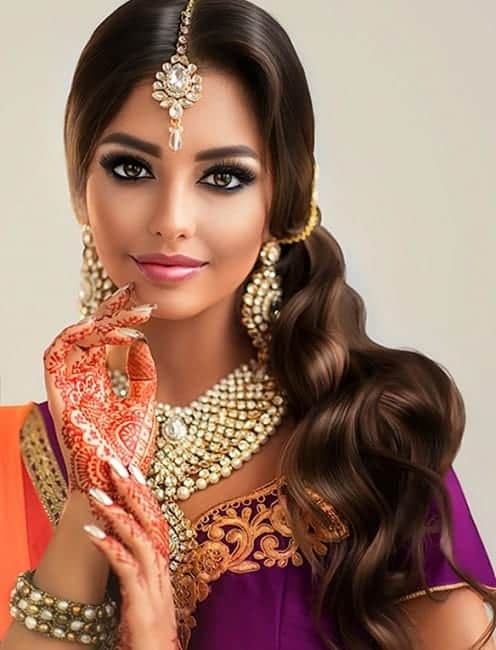 Your next evening or Indian gown can be worn with any of these hairstyles mentioned above. Which one will you be wearing?